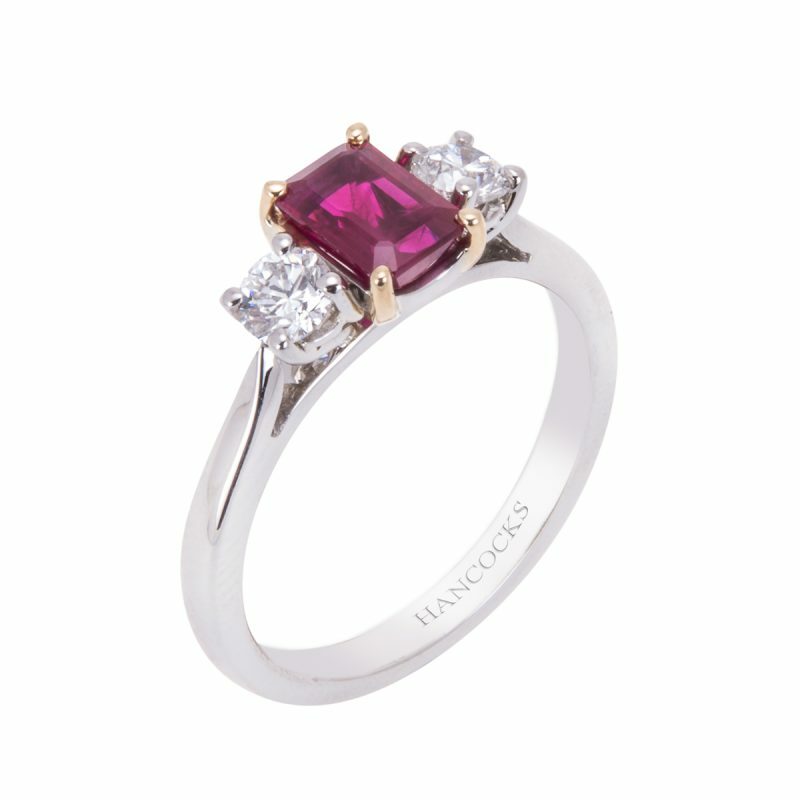 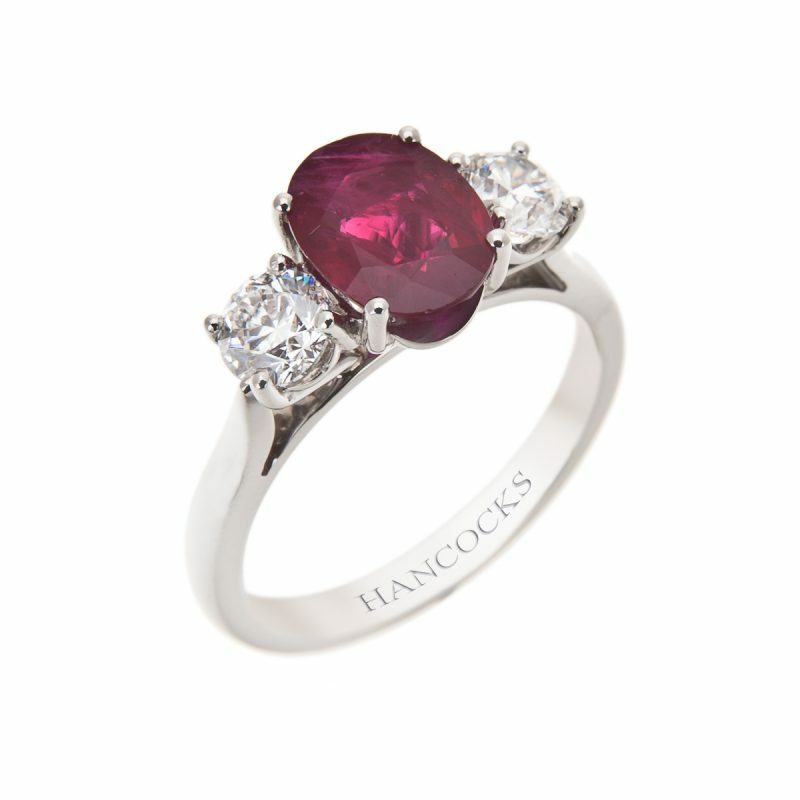 As timeless as it is stunning this beautiful ruby and diamond three stone ring has be hand crafted in an 18ct white gold claw setting with an 18ct yellow gold shank. 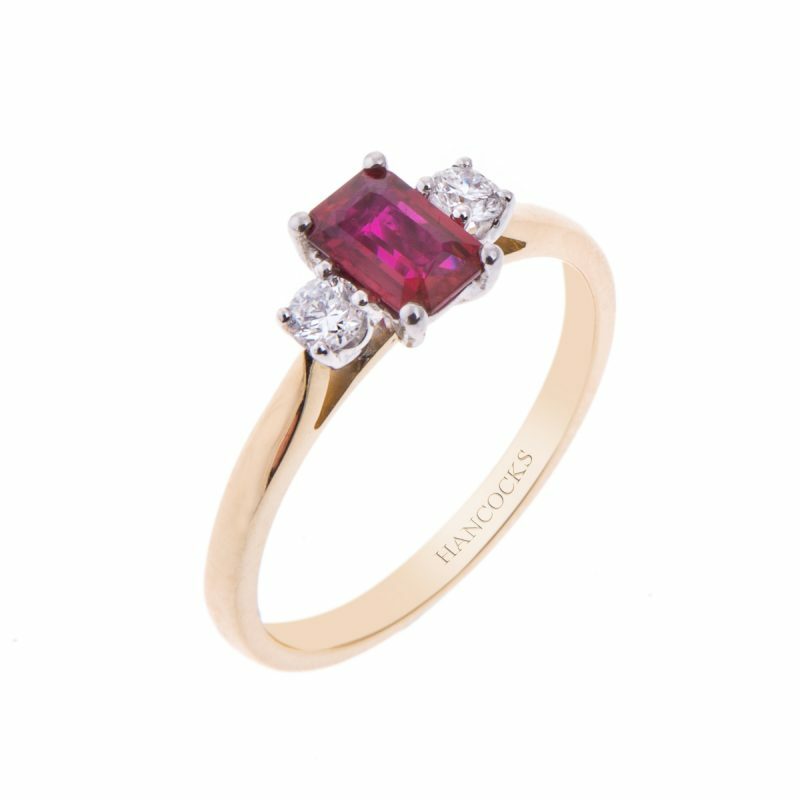 This rare and precious oval cut ruby has been combined with 2 sparkling brilliant cut diamonds, to offer a dazzling contrast and make a perfect pairing. 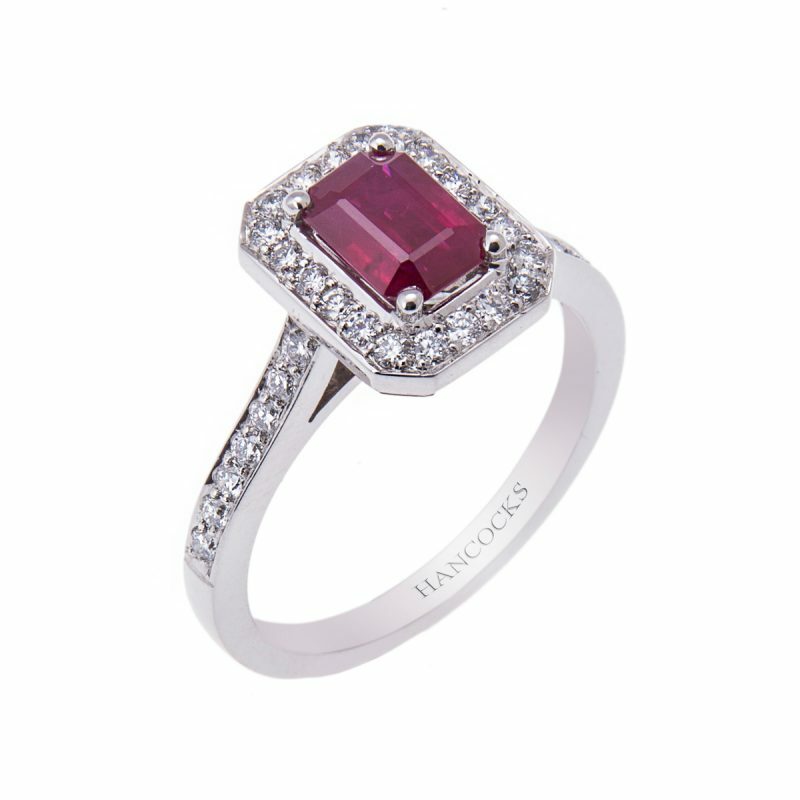 This ring truly is the perfect way to treat your loved one.